It’s here again! Meatless Monday’s A-Z! This week is the letter “C” for caperberries. However, we have a confession to make. We used capers, not the berries. That’s 2 C’s, cheaters+caper berries, so that counts for something, right? We think inspite of it all, our recipe turned out quite well! 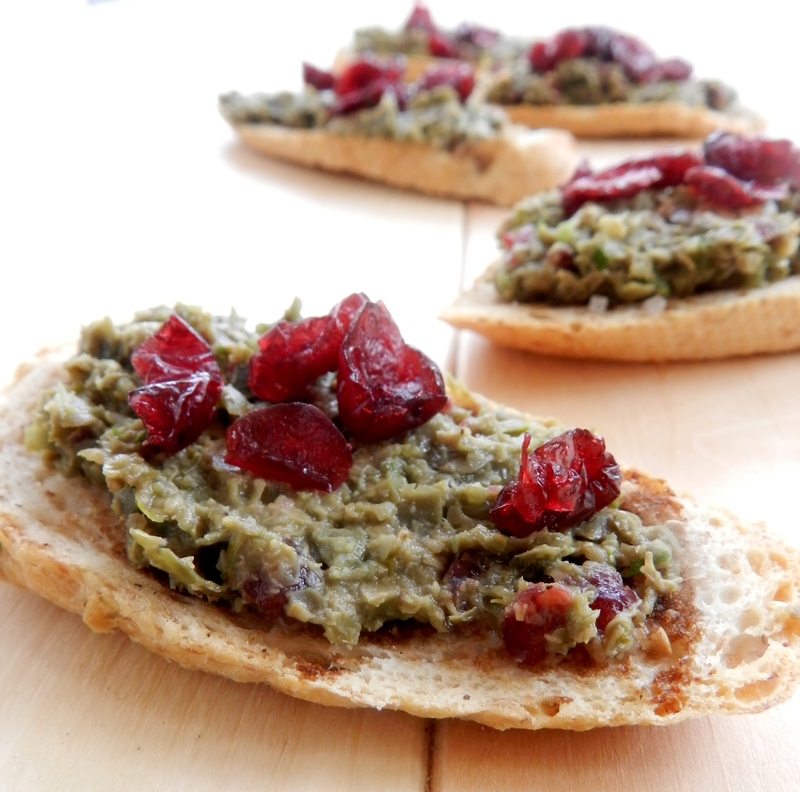 Caper-cranberry Tapenade on Balsamic Crostinis. 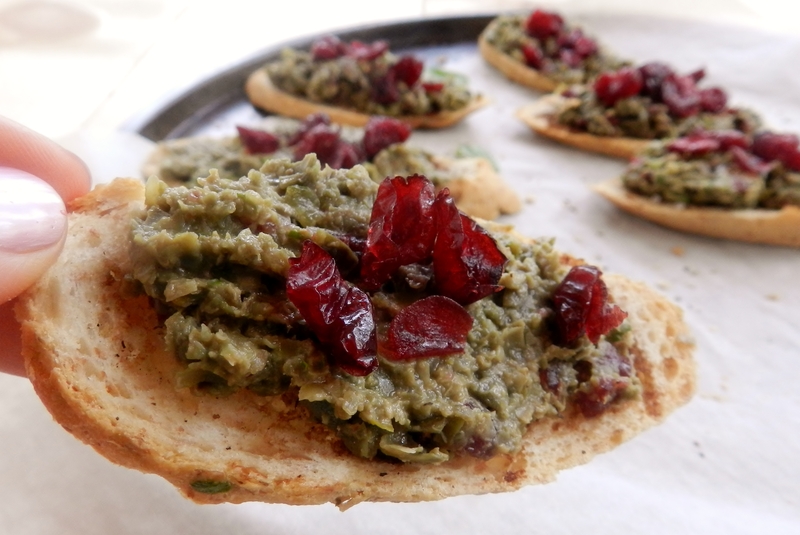 There, that’s three C’s- capers, cranberries and crostinis! Bonus points? We often get asked how we come up with our recipes, so we’ll give you a brief synopses of how this lovely little appetizer came to be! While doing some research of caperberries (neither of us had heard of them before!) we learned that they are a cousin to the olive. 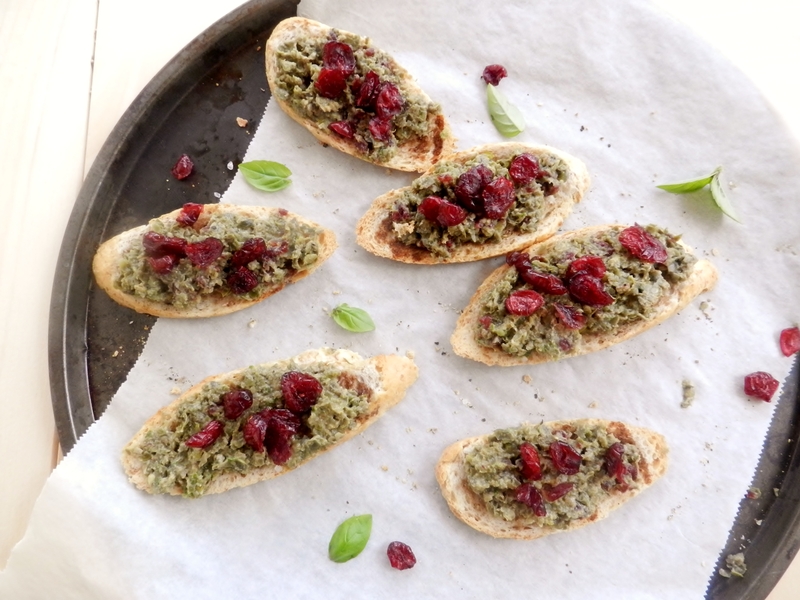 Olives… tapenade! That’s where our first thought went. We were thinking that making some crostinis would be a good choice, and then at our annual August birthday’s celebration yesterday (basically an excuse for the whole fam-jam to come over for a potluck barbecue!) our aunt brought smoked salmon crostinis. Uhhh soooo good! We knew then and there these crunchy little bread crisps were going to be a part of today’s recipe! After that, it was simply a taste-and-add-as-you-go type deal. We looked up a couple traditional tapenade recipes to kind of get a good idea of what might work, and then added ingredients until we liked what we were tasting. 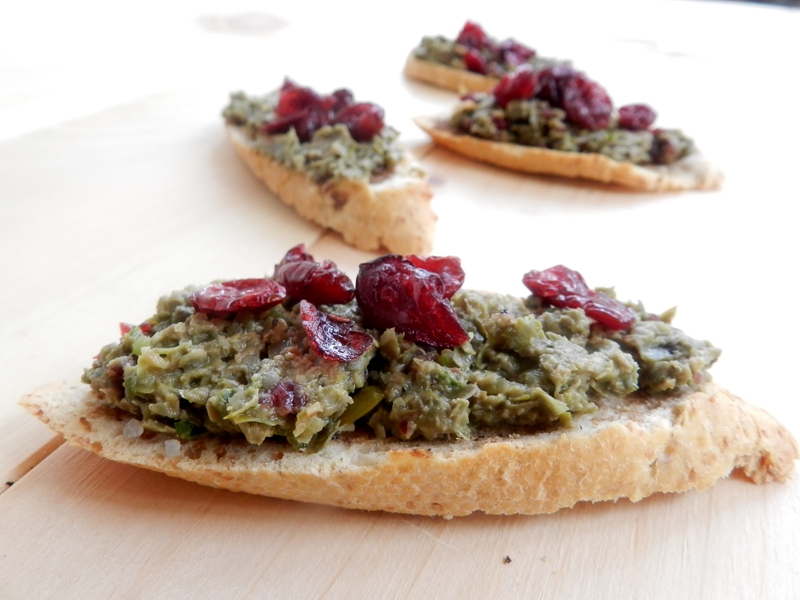 The best way to describe capers (and this recipe) is zingy! 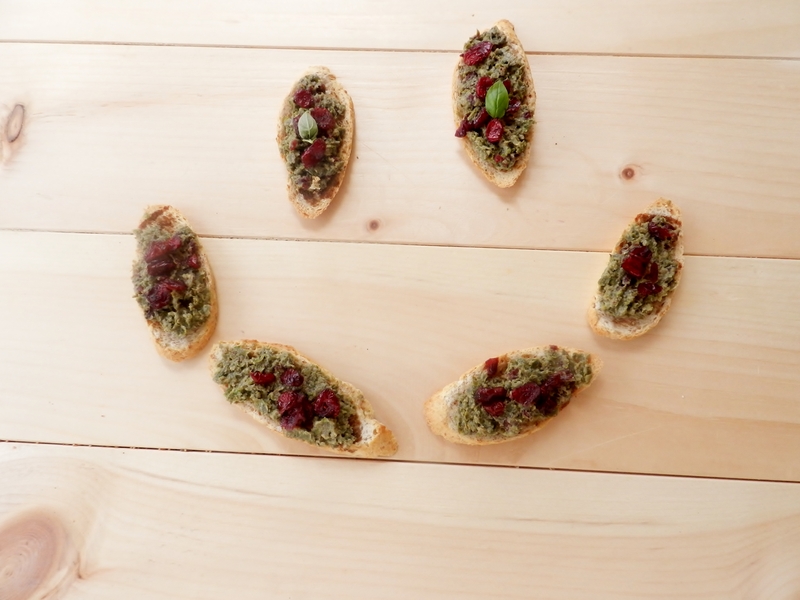 We definitely had to add a couple sweeter ingredients to offset their bite, and certainly capers don’t need anything to brighten their flavour, they do that all on their own! So we hope that, even though this recipe uses capers and not caper berries, you will still give it a try! Place all ingredients except cranberries in a food processor and blend until everything is chopped finely and the mixture is somewhat smooth. Add cranberries and pulse a few times to slightly chop the berries. Serve on top of thinly sliced toasted pieces of baguette. Where do you find caper berries!?! 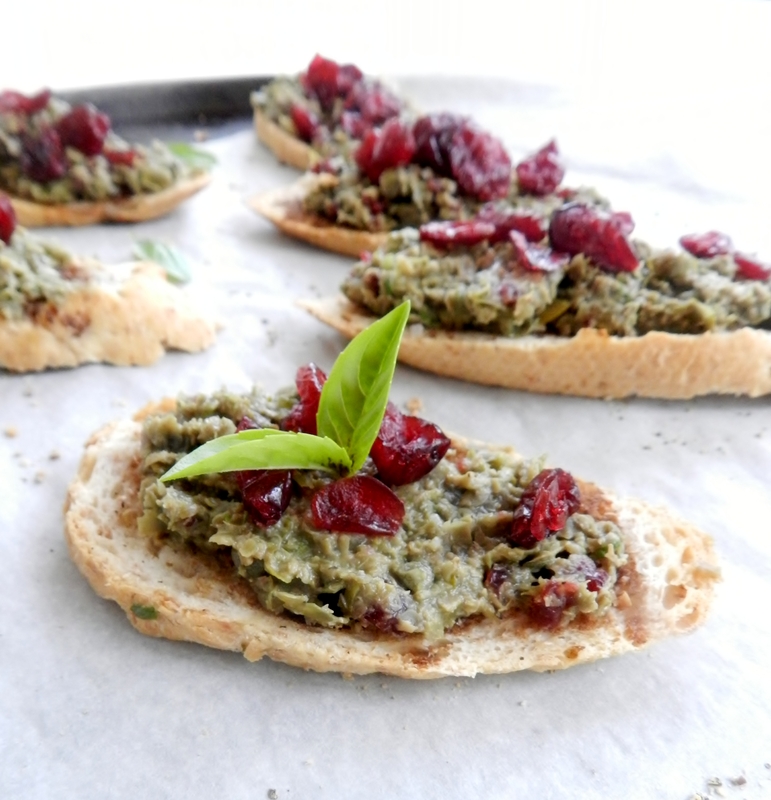 Posted in Uncategorized and tagged basil, capers, cranberries, crostini, easy, healthy, Meatless Monday, quick, tapenade, vegetarian. Bookmark the permalink. I only found the caperberries because I had to go to some snooty gourmet store for a different item–thought I was going to be using regular capers, too! 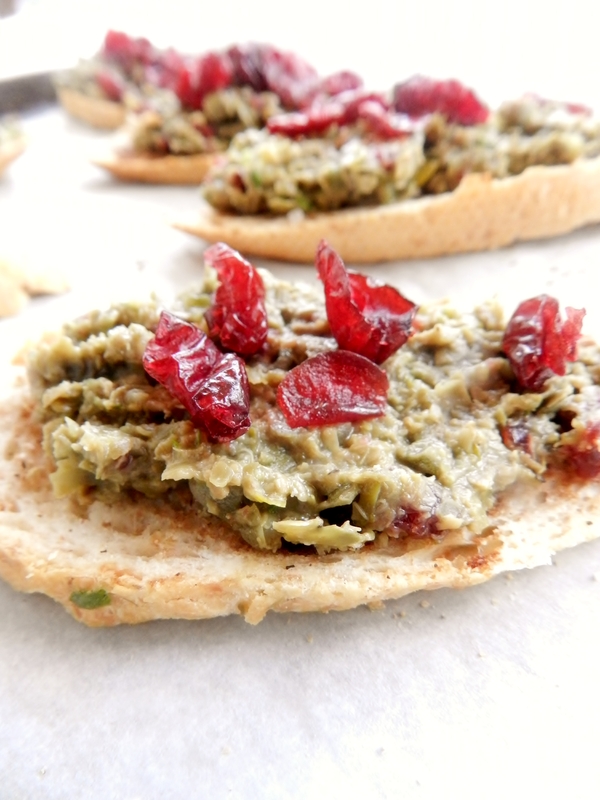 And this sounds so good, I love “zingy” and the idea of adding cranberries/hint of sweet to the tangy/saltiness of capers. I “cheated” with the capers too. Love this idea – I bet the sweetness with the salty capers was fantastic! Caperberries were impossible to find! But these were sooo good anyways! The sweet and salty combo is definitely a favourite of ours. Yum! Looks great to me!